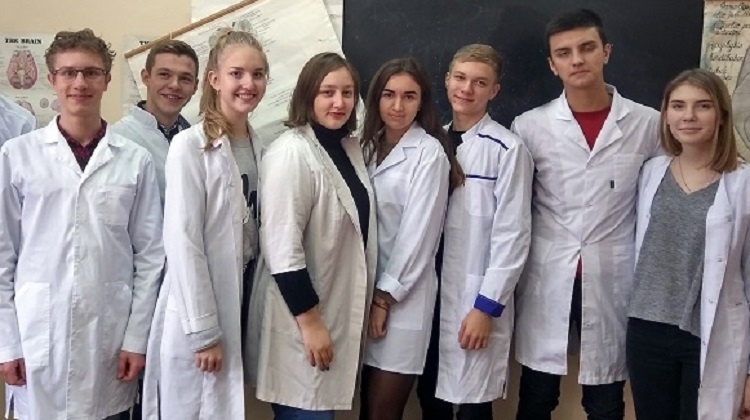 А scientific student seminar was held with the participation of domestic students on 18th of January. The topic of the meeting was: "Modern anatomical views on structure of thedigestive system and abdominal cavity." During the seminar, the issues of the characteristics of the blood supply to the liver, modern views on the anatomy of the intestinal mesentery were discussed. The 1st year students, from the VI-104 and VI-105 group, took an active part in the seminars.